city a decidedly funky vibe. Venturing south into the Cascade mountains, vacationers will find themselves standing among ancient volcanoes and mountains, where skiing and hiking top the list of activities. Smack dab in the middle of the mountains are famous volcanic remnants in Crater Lake National Park. To the west, the Oregon Coast has become popular among for Oregonians and tourists alike for its rugged beauty and clean beaches. get downright hot, sometimes reaching over 90 (32). Coastal areas are much more mild in the summer (and often get a break from the rain), which makes it the most popular time to visit. Book ahead if you’re traveling over the summer, and pack a jacket since wet weather is unpredictable year-round. By October, the rain picks up again and stays through July, driving down hotel rates. But despite the rain, Oregon is gorgeous year-round: spring brings bursts of sunshine and flower festivals, while fall brings colorful foliage. Oregon is a quietly confident state, full of epic scenery and friendly people. There's tons to explore, from Crater Lake in the south to Mount Hood in the north. It's definitely an outdoorsy place and there are great opportunities for skiing, rock-climbing etc. Nevertheless, the gorgeous coastline, Willamette Valley wine country, and dynamic Portland offer a lot to the less athletically inclined. As the last frontier of the continental US Oregon is has incredible natural beauty. I love this state because it educate you.in the field that you want to educate your self. Where I grew up! 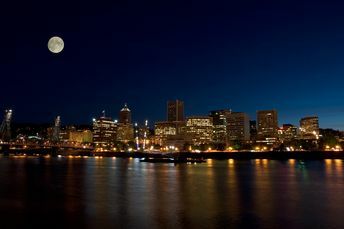 What can I say, Portland and most of the cities are really great places to live. People are nice and enjoy each other. The only down thing is the weather : ( But from May to September it's great! I didn't know that much about it before, but after spending a year here, I can honestly tell you there's lots to do and see, especially if you're an outdoorsy type. Nearly everyone here seems to know how to ski, run, windsurf, rock climb, snowboard, or do a combination of both. The mountains and forests are breathtaking. Overall, I appreciate the hospitality of the locals here and the emphasis on having a good quality of life. Home State, gotta give it some love.